Hey, it's some new footage of The Witcher 3: Wild Hunt. This one foregoes the usual terse conversation section and gets straight to the wolf killing, followed closely by some man killing. It's probably a good indication of the moment-to-moment combat we can expect from the RPG sequel. Before everyone starts shouting "downgrade," as PC fans are wont to do, it's worth remembering that this footage was re-uploaded from Nvidia's Twitch stream, and was itself demonstrating the streaming capabilities of Nvidia Grid. Not only that, but it's revealed in the video that the game isn't being run on its highest settings. "We're saving this for when you buy the game," says CDPR designer Damien Monnier. "We want you to get a bit of a slap across the face." 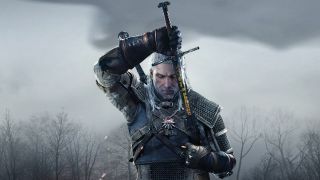 The Witcher 3: Wild Hunt is due out on May 19.